Hanover, September 2012. Johnson Controls Power Solutions EMEA are pleased to announce the enhanced VARTA Dynamic Trio – Silver Dynamic, Blue Dynamic and Black Dynamic. We have added five new VARTA Dynamic Trio EN products and are in an even better position to meet the needs of our customers. For high-volume vehicles in the small car segment, the new batteries offer improved performance with no increase in size and represent better value for older small cars. “We supply the right batteries to 44 million vehicles. 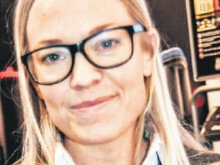 With our expanded range, we are looking at 7 million potential extra battery sales,” says Guido Schädlich, Senior Product Manager at Johnson Controls Power Solutions EMEA. “We are now meeting the needs of all types of cars in a considerably more targeted manner than the competition, thus setting ourselves apart.” The five new models belong to the VARTA Dynamic range, which, with its PowerFrame® technology, boasts particularly high performance and reliability. All batteries are available now. The Silver Dynamic 585 400 080 (85 Ah) and Blue Dynamic 580 400 074 (80 Ah) have been developed to enable precise battery replacement for models such as the Mercedes-Benz C-Class and VW Passat. For the H7 version (high casing), they are joined by the T7 models (deep casing) to meet OEM requirements. Although many new high-volume models in the small car segment, such as the Fiat 500, are equipped with ever more electrical devices, the installation space for the battery remains the same. 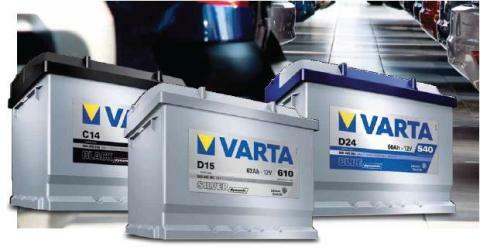 The new VARTA Blue Dynamic 544 401 042 has been developed in line with this trend: with no increase in size and 44 Ah, it offers more performance than the standard model. For older vehicles, which feature fewer electrical devices, the VARTA Black Dynamic 540 406 034 with 40 Ah is the ideal choice. When it comes to replacing the batteries of older vehicles such as the Opel Astra H-Notchback, then the VARTA Black Dynamic 553 401 050 is what’s called for. With 53 Ah, it offers almost ten per cent more cold start performance than the Black Dynamic 553 400 047 as well as the great value provided by cost-effective maintenance.